Jack Shephard and the Time Wizard. A science fiction adventure which I wrote for my Grandchildren. My eldest grandson, Xander, asked me for a story with portals in it and The Dream Gate was born. This first story is only a short book (Novella), just the right size for kids. If they enjoy it, I’ll write the sequel before next Christmas. The Dream Gate – Jack Shephard and the Time Wizard. When asked if they think we have been visited by intelligent beings from another world, the skeptics among us point to the vast distances they would have to travel, and the impossible time it would take to travel those distances. However what if they didn’t travel by space craft. What if there was another way? What if your dreams could take you on grand adventures while you sleep? Jack Shephard, his sister Emma and cousin Julian find an ancient book which leads them to The Time Wizard, an alien from a far off galaxy, who can travel through portals to amazing adventures through time and space. 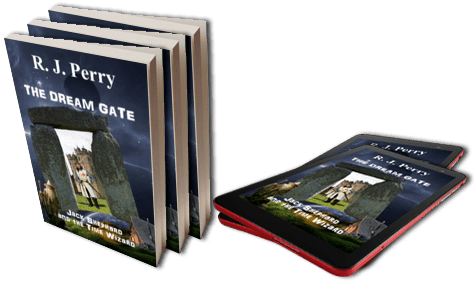 Click to Purchase The Dream Gate on Amazon – In print or eBook. 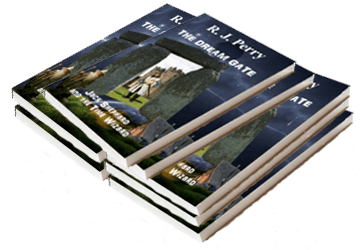 Click to Purchase The Dream Gate in all eBook formats on Smashwords.